With the year end and season of giving upon us, Bank of America provides financial education on their website to help you navigate your finances. Finding the perfect gift can be stressful—and expensive. 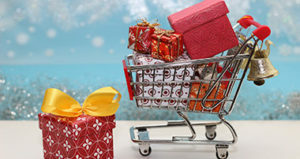 Check out these 7 Money-Saving Tips for Holiday Shopping. With a new tax law in effect, it’s especially important to be prepared. Get started with these ideas from their article 8 tax tips that could save you money this year.